TEENAGER Daniel Grainger has launched a website in a bid to trap his mum’s killer. Daniel, 16, was five when Patricia Grainger was sexually assaulted, strangled and stabbed. The murder has remained unsolved for 11 years. But Daniel has turned internet detective and hopes his site www.whokilledmymum.com will lead to a breakthrough. It includes newspaper articles from the time of the killing, photos of his mum, aerial shots of where her body was found and police contact numbers. It even features a poignant digital clock, counting the days, hours, minutes and seconds since Patricia died. 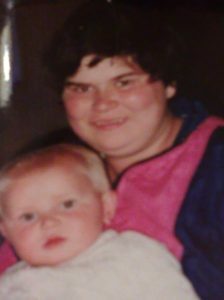 Patricia, who was 25, was found covered with a mattress in a brook near her home in Parson Cross, Sheffield, South Yorks. He has just one treasured photo of him and his mum together. If you have information, call South Yorks police on 0114 220 2020 or Crimestoppers on 0800 555 111.